It “started with the park, but it has become bigger than the park” declared Turkish scholar and activist Nazan Ustundag on Democracy Now early last week. While it is clear that the demonstrations in Turkey are now about far more than the preservation of a single park in Istanbul, it is important not to forget the catalyst. Consider the fact that it is the potential loss of a park that sparked nationwide protests. 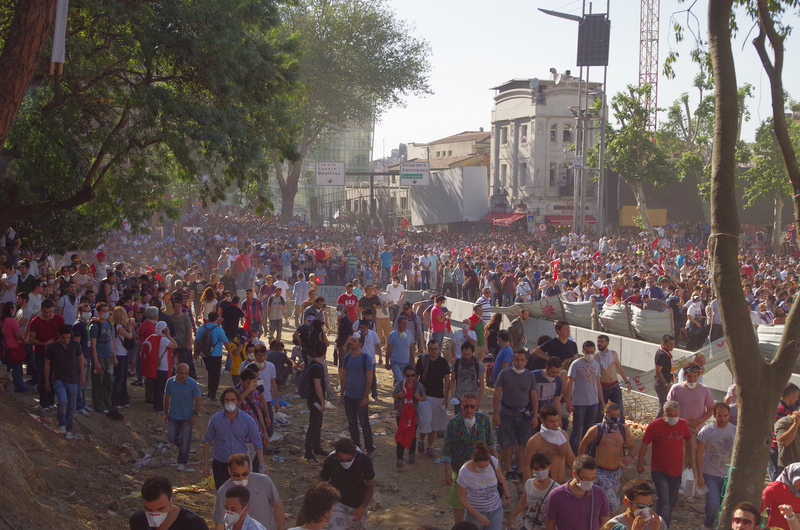 Taksim Square – Gezi Park Protests, İstanbul. Source: Alan Hilditch via Flickr. There is something exceptional about the potential loss of green space within cities. Try to turn an old industrial port contaminated with asbestos into a 65-storey casino with four sister skyscrapers, as is happening on the Australian site of Barangaroo in Syndey, and you get years of controversy, several well-written criticisms in the local papers (as in the recent piece by Elizabeth Farrelly) and reams of signed petitions. However, try to turn a small urban park into a shopping centre and you sow the seeds of revolution. Casino development at Bangaroo. Source: http://www.thepunch.com.au. The opinions of the former Australian Prime Minister Paul Keating (known down under for his unique brand of poetic vitriol) offer another example of the park’s political power. On the one hand, Keating is a vocal supporter of developments like Barangaroo, which co-opts public space for the sake of corporate interests: he famously labelled opponents to the multi-billion dollar development “sandal-wearing, muesli-chewing, bike-riding pedestrians“. 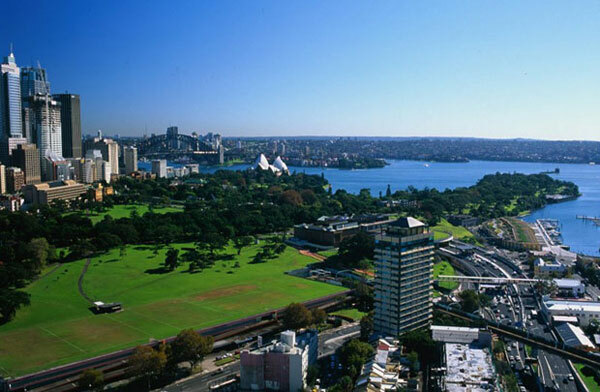 But on the other hand he has recently come out as a vocal supporter of Sydney’s public green space, calling the city a ‘whore to stimulus’ in response to the fact the Royal Botanic Garden and Domain Trust is offering temporary leases of their public parklands for festivals and sporting events. If parks have a unique capacity to galvanise people for the sake of preserving public space, then Jeffrey Hou’s claim that urban gardening can be “insurgent placemaking” takes on a new, potentially even more important aspect. * That is, if the collective cultivation of urban green space is a meaningful way to create community, intervene in corporate renewal strategies, and reclaim the city’s edge-lands for the public interest, then we are also creating spaces that people may be willing to fight for in the future. The inaugural insurgent community garden group could have long-term stakes in urban futures if the gardeners really do mobilise around their collective creation. Urban Gardeners are not reclaiming derelict land for the sake of tidying it up for developers; instead, the garden is the sole aim and purpose of the activity. The garden is the endgame. And once the garden is there, people will be willing to fight if you take it away. Artists have long been used by developers at the coalface of gentrification. They move into an area where rent is cheap and buildings are derelict and they make a suburb cool. Much to the Artist’s despair, the developers then move in, convert warehouses into loft apartments, co-opt the cool, drive rents up and push the artists out. London, New York, Sydney – the story is the same the world over. No matter what artists try, their creativity seems to provide an infinite fund of cool for corporate strategists wanting to capitalise on their activities. Oriental Warehouse Apartment Loft Conversion in San Francisco. Source: http://www.inthralld.com. But if urban gardens offer a new model for creating community, then perhaps they really do offer an alternative strategy for remaking the city. A garden cannot simply be replaced by a cafe or shop that looks like a garden, because the activity of growing flowers and food is the point. It is gardening for gardening’s sake. Moreover, with the ever-growing anxieties about food security in the wake of climate change, more people than ever are invested in arming themselves with the knowledge and know-how to grow their own food. This is not to say that all urban gardeners are driven by proto-apocalyptic anxieties, but that growing things with such uncertainty in mind means it is necessarily more than a hobby. There is, to be sure, something very idealistic about the notion that gardens could offer a counter-insurgency to a particular mode of urban development and also that, simply because of the community’s investment in the garden or park, they won’t be bulldozed when the developers get greedy. After all, the Australian development conglomerate Fraser’s Property Group is building a large new set of luxury apartments in central Sydney sporting vertical gardens growing up the glass facade. 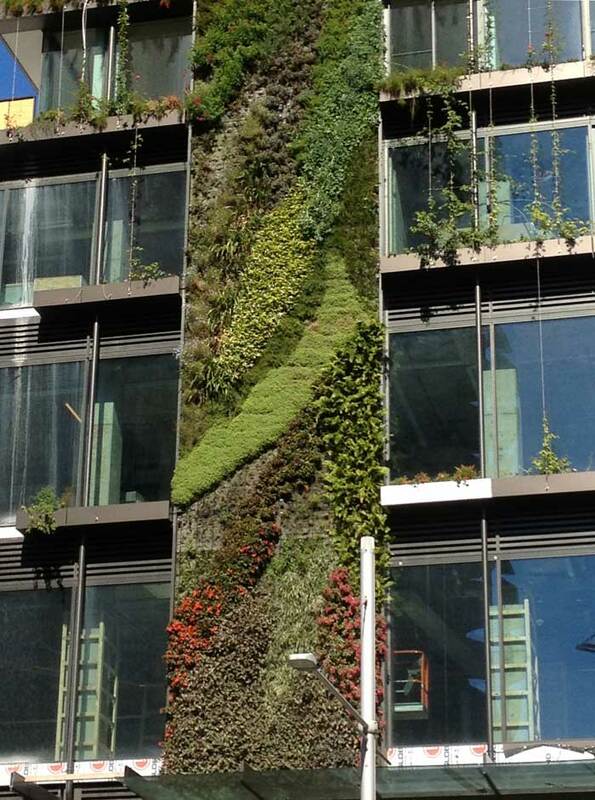 Vertical gardens, One Central Park, Sydney. Via itscrowtime.wordpress.com. This nifty design feature co-opts and commodifies the garden aesthetic for the purpose of selling homes. Moreover, gardens have been bulldozed in the past, and, while some have triggered protest, they haven’t started revolutions. Nevertheless, if we think about the importance of the garden in our collective historical imagination, from the desire to return to the garden of Eden to its echo in Joni Mitchell’s famous lullaby to social revolution, “Woodstock,” we can see that the garden or park is much more than the sum of its parts. It is more than just an aesthetic or recreational space. It represents an ideal that, as we learned last week, people are willing to fight for. 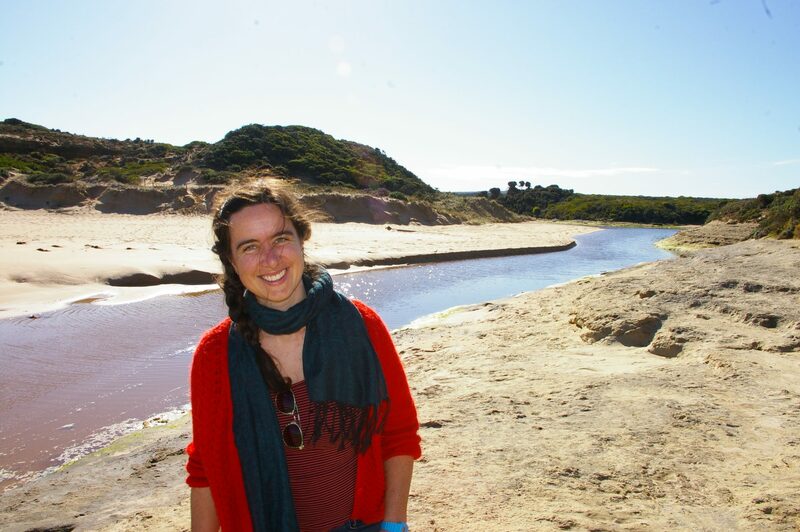 Dr Jennifer Hamilton is a sessional lecturer in ecocritical literature at New York University (Sydney) and a Visiting Fellow in Environmental Humanities research group at the University of New South Wales. She is currently working on two “insurgent placemaking” projects: Earlwood Farm (earlwoodfarm.wordpress.com) and The Yurt Empire (http://yurtempire.com). Twitter: @bicycleuser.